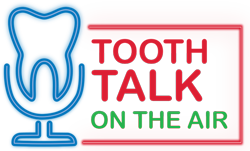 For the first episode of Tooth Talk, hosts Sarah Milligan and Peter Aiello sit down with the ADA’s Senior Vice President of Government and Public Affairs, Mike Graham. As one of the nation’s leading healthcare organizations, the ADA plays an important role in shaping the future of the nation’s oral health, supporting dentists, and representing dentistry as a whole. The ADA’s Washington, D.C. staff share how they work to advocate for oral health through legislation and lobbying efforts and how dentists can help speak with one voice, united in Washington.